Hi everyone! 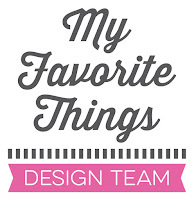 Today is the last day of the My Favorite Things August release countdown. This release is absolutely fabulous! The new products will officially be available on the MFT online store in a few hours!!! Yay!!! The new products will officially be available on the MFT online store on August 2nd at 10pm EST (= Europe: August 3rd at 4:00 CET). Ha ha! I love that grave set with these fun sentiments! 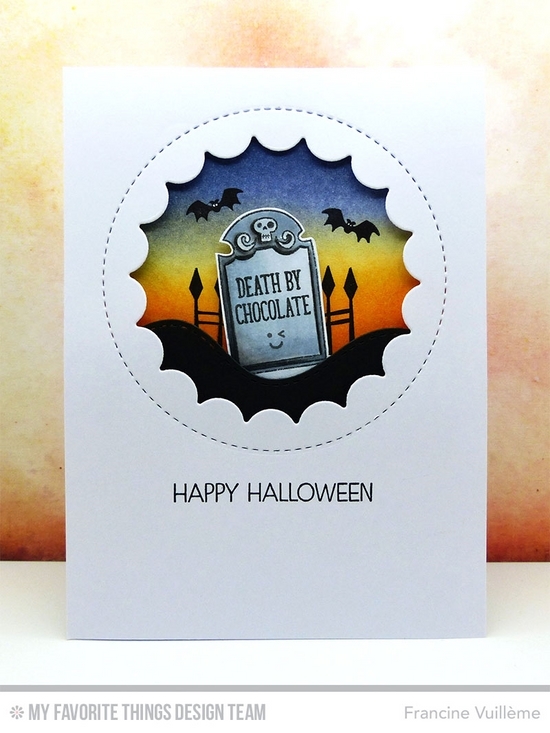 I sponged the background with Distress inks and created a scene using the Frightful Friends, the Spooky Sweets set as well as the Stitched Whimsical Waves Die-namics. I did the opening with the Jumbo Peek-a-Boo Circle Windows. Isn’t that a fun Halloween card? I love your beautiful background. Great colors. Really cute card. Such a cute card, love the contrast between the clean and simple card front and the window with it's vibrant colors! Adorable Card! Love it! You are so talented! Great card! I love that scalloped circle and your scene inside it. Thanks for sharing. I really like your design and the colors are great too!